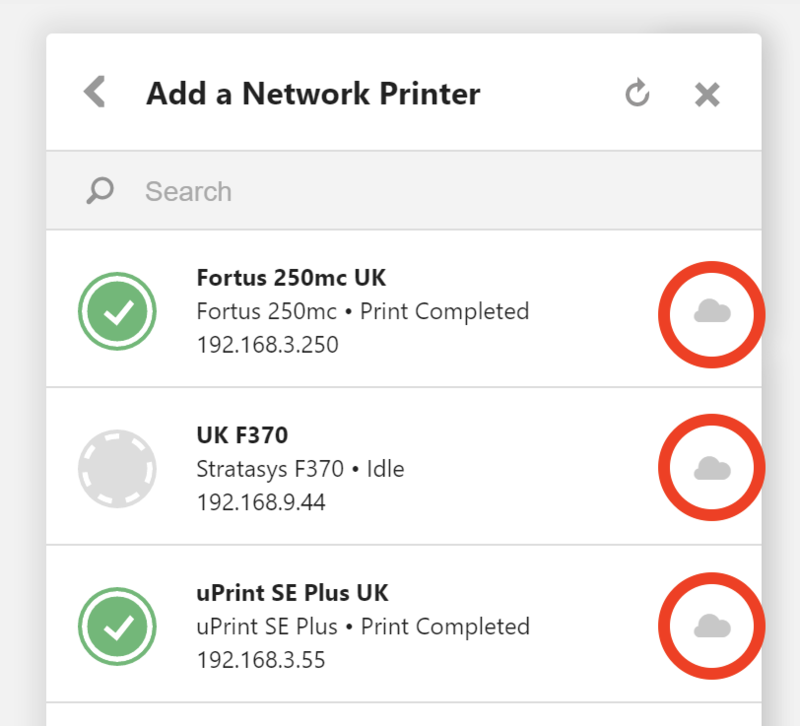 You can monitor your print queues from the iOS and Android mobile apps. You can log into GrabCAD Print from any computer and connect to your office printers. Get email notifications for your print jobs. Change your settings here. 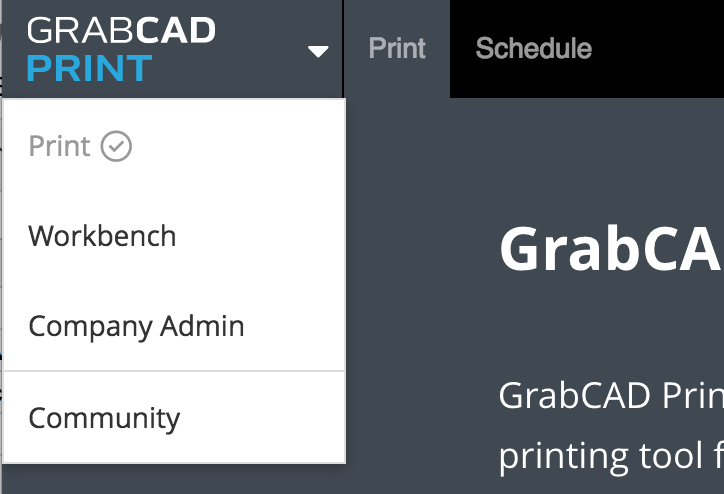 Log into print.grabcad.com from anywhere to see the same Schedule View as in the desktop app. Reports are powered by data collected from GrabCAD Print Server. Set up the GrabCAD Print Server on your network. You'll need a computer that is connected to the network at all times. Check out the system requirements for GrabCAD Print Server. GrabCAD Print Server can be installed on the same machine as GrabCAD Print only with the per-user installation and not the per-machine installation which is in beta right now. Once you install, log in and select your company account. ...That's it! You can close the window, and the Print Server will run in the background as long as it's connected to the network. If your PC shuts down or your Windows user logs out, it will restart automatically when you log back into Windows, and it will update itself seamlessly when new versions are released. If you have a printer that is not network discoverable, you need to add by IP address in order to connect with it. Go to GrabCAD Print and add the printer by IP as shown here. This will add it to your My Printers list, and GrabCAD Print Server will now be able to find this printer. In order to print remotely, your teammates will need to be added to your account. Once in the Company Admin, you can add users by clicking on the Add users button. They'll need to follow the link in the invitation email to finish the signup process. For more information on your company account, click here to read all about company accounts. 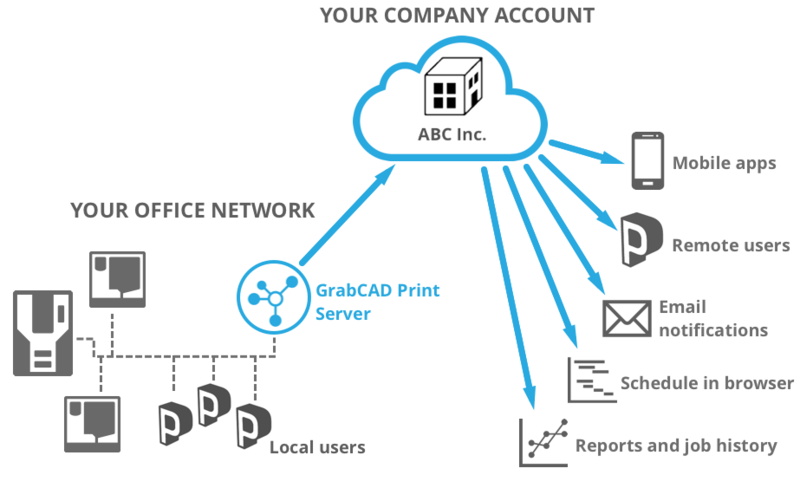 Sign into your account on GrabCAD Print, and start printing and monitoring remotely! If you install GrabCAD Print on a computer outside your network, or you move your computer to a new location, you can access the printer on your network, thanks to GrabCAD Print Server. Just make sure you're connected with your company account, and your printers will show up in the printer panel with a cloud icon. 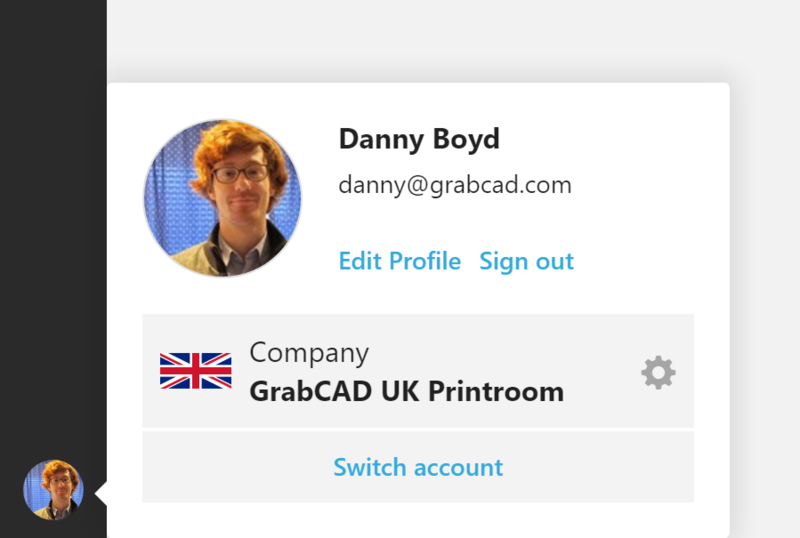 When you use GrabCAD Print Server, only the people who you have added to your company account are allowed to access your printers. 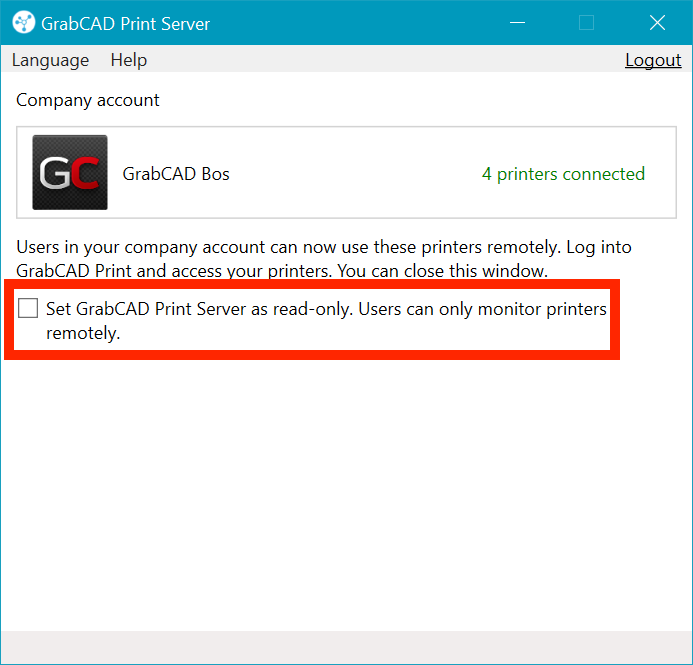 If you would like to restrict remote users from modifying the printer queues in any way, you can set GrabCAD Print Server to Read only mode. To read more about security and privacy at GrabCAD, click here.